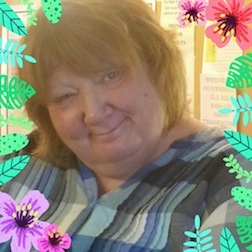 Cheryl M. Slusarick, 60, of 1783 Plank Road, Emporium, PA died at Sweden Valley Manor, Coudersport, PA on Monday evening (March 25, 2019). She was born September 11, 1958 in Niagara Falls, New York a daughter of the late Roy and Evelyn Asti Danner. On April 30, 1988 in Emporium, PA she married the late Vincent M. Slusarick. Cheryl graduated from Cameron County High School in the class of 1976. She retired in 2016 from GE Motor Coil where she had worked for many years. She was a member of the VFW Ladies Auxiliary, the K of C Christabelle Club and the Moose Lodge #264. She loved spending time with her nieces and great niece and nephews. She also enjoyed cooking and her kitty cat "Lucky". She is survived by a sister, Lou Ann (Daniel "Buddy") Wolfe, Emporium; and a brother, Rick (Dee) Danner, Emporium; nieces and great niece and nephews; longtime companion Jhohn Carlson; many lifetime friends including her best friends and caretakers Deb Hallowell and Alesia Schlotzhauer. She was preceded in death by her parents and husband. A time of remembrance and sharing will be held at the VFW, 427 East Third Street, Emporium, PA on Sunday (March 31, 2019) from 1:00-4:00 PM The family asks, if possible, wear some article of clothing that is tie dyed in Cheryl's honor. Burial will be in the St. Mark Catholic Cemetery, Emporium, PA.